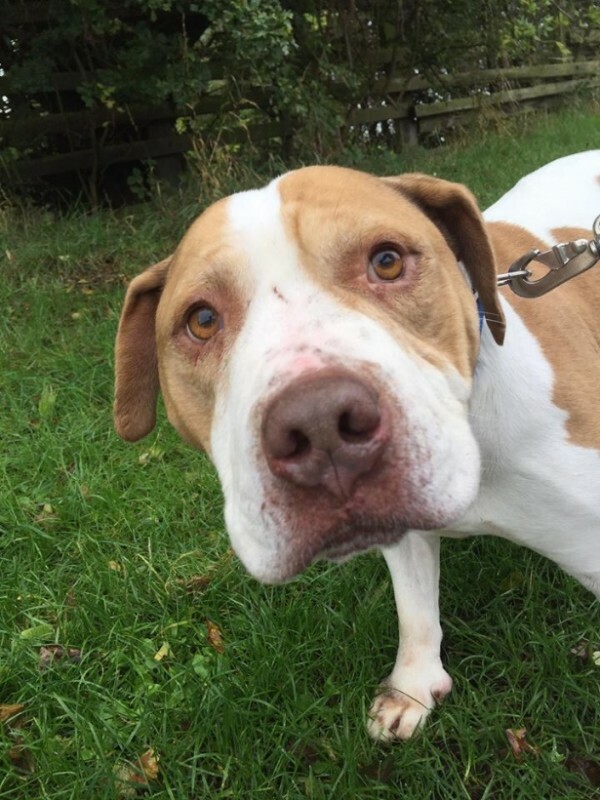 **ADOPTED**BRUCE – laid back older chunky chappy! Meet the adorable chunk that is Bruce! 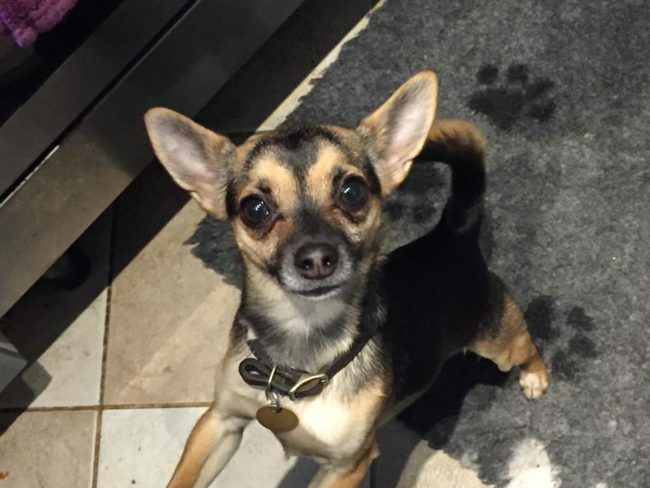 Brucey is a real character who is the biggest softie you could meet! 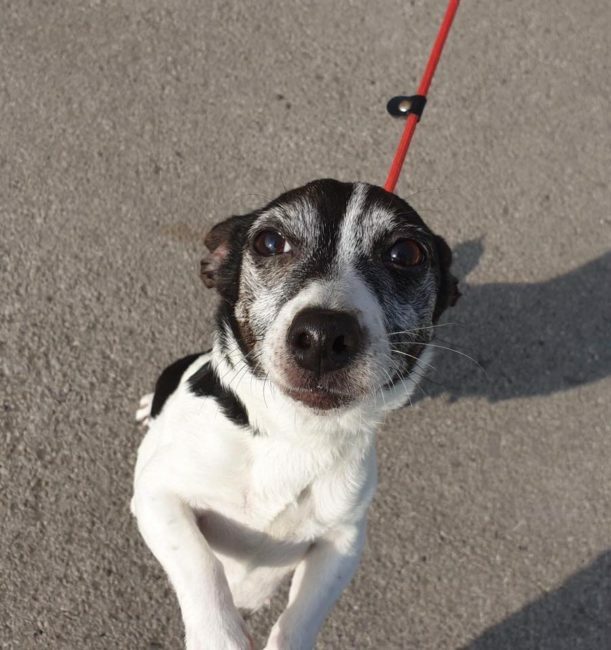 He is 10 yrs old, and has been health checked and is in good health from his age apart from some sore skin which will clear up nicely in a home environment with plenty of TLC (he has just spent 2 months in stray kennels before coming to us bless him). Bruce is very laid back and gentle, he loves people and having a fuss. He absolutely loves to snooze in a comfy bed, he doesn’t want for much! He walks nicely on the lead but won’t need a huge amount of exercise as he’s an older chap. He has a stubborn streak, and is quite ‘Bulldoggy’ in nature, so if theres something he’d like to sniff on a walk, he will make sure he stands his ground until he’s finished sniffing!! He travels well in the car and will curl up and sleep! Bruce deserves to be spoilt rotten and really needs to find his dream retirement home ASAP! This entry was posted in Happy Endings, Large, Male, Medium by Amanda HYPS. Bookmark the permalink.